Police in Dereham are asking residents to be vigilant and consider their home security following a number of burglaries and some criminal damage in the town. Two addresses in Banyard Place and one address in Courtenay Close were targeted between 12am and 7.30am on Tuesday 5 February. Tobacco, cash and jewellery was stolen during the incidents in Banyard Place. Meanwhile a number of key safes were damaged at three addresses in Courtenay Close. DC Matt Hendry said: “Investigations into these incidents are on-going, however I would like to remind residents to take some time to consider their home security. Get into the routine of checking that your windows and doors are closed and locked, even if you’re at home, before you go to bed and when you leave the house. 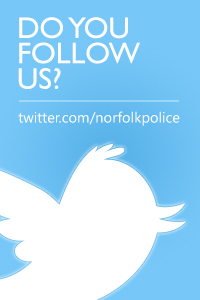 Anyone with information about the burglaries or criminal damage should contact DC Matt Hendry at Thetford CID on 101.